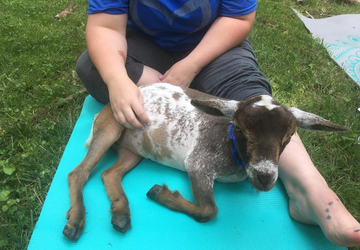 Goat Yoga? Yes, It's A Thing, And You Can Try It In Goshen. Yoga is a super relaxing activity already — you get to unwind, feel centered, and there are many health benefits. But you know what could make it even better? Goats. 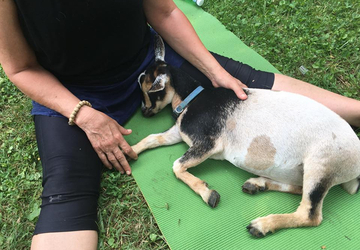 At Honey Sweetie Acres in Goshen, you can have a one-of-a-kind yoga experience by spending time out in nature, surrounded by the farm’s Nigerian Dwarf goats. 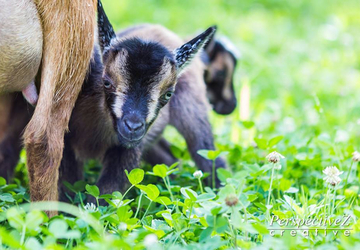 Regina and Steve Bauscher started Honey Sweetie Acres more than seven years ago, using the farm to make and sell goat milk skincare products. 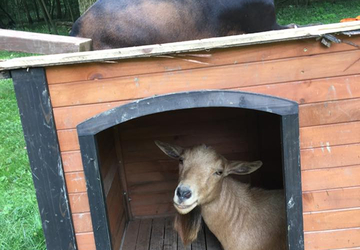 But when goat yoga started becoming a fun, new trend, someone suggested it as a new business endeavor — a joke at first, but then Regina and Steve began to seriously consider it. "With big goats, no it wouldn’t be workable. 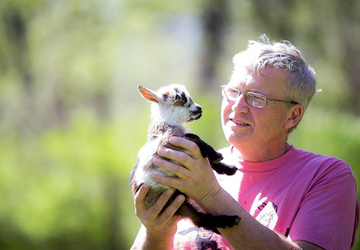 But with the size [of goats] that we have, it’s really workable," Regina said. "We were real cautious. We did five classes and — BOOM — they filled immediately." Regina and Steve held the first yoga class in April this year. It was so popular, they added 10 more. And it doesn't matter if you're a beginner or a seasoned yogi —the classes are for everyone. 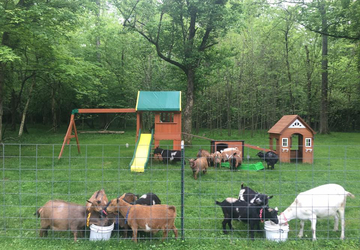 If it's not raining, classes are held outside in the goat's pen. 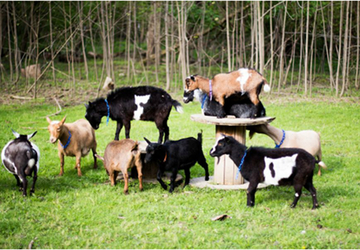 It's the perfect spot to unwind and connect with nature and the goats. 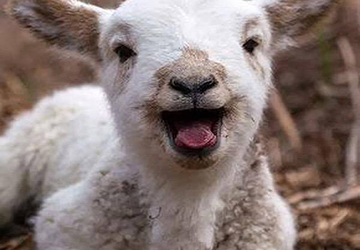 These guys might be little, but they have huge personalities. 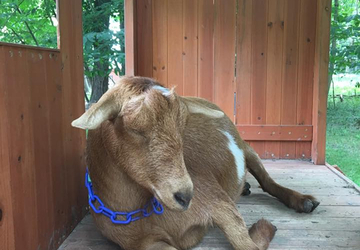 Goats are naturally friendly and social animals, and Regina says the adult goats like to lay beside you or on your yoga mat. 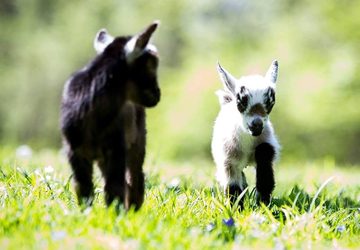 The baby goats are little more playful. They like to crawl in your lap or jump on your back or stomach as you stretch into your poses. "People adore it, simply adore it," said Regina. "It has just brought so many people so much joy, so much fun. The laughter is infectious; people just crack up." 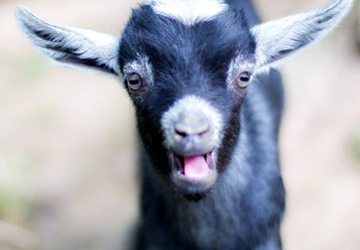 Beyond the fun of playing with baby goats, the class is also very therapeutic. 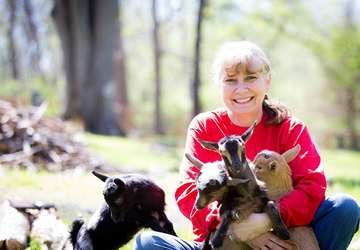 Regina says some people even spend the class playing with the goats and holding the babies. "I hope they go home feeling relaxed, feeling like they’ve had stress relief and feeling like they’ve had some fun," Regina said. 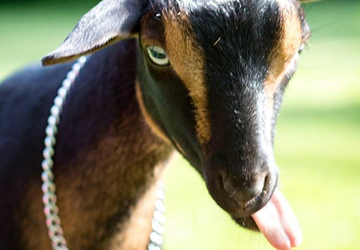 Classes are around two hours long, and you spend 30 minutes meeting the goats and going over etiquette in handling them. 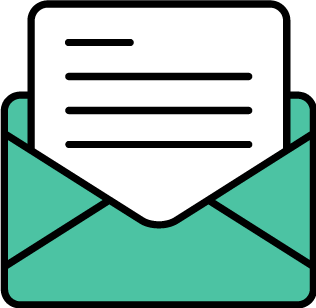 And while classes are full for 2017, you can join the farm's email list to be notified when 2018 classes start. Honey Sweetie Acres is located at 2710 Spring Hill Drive in Goshen, Ohio (45122).